The Belknap Range? We. Can. Do. 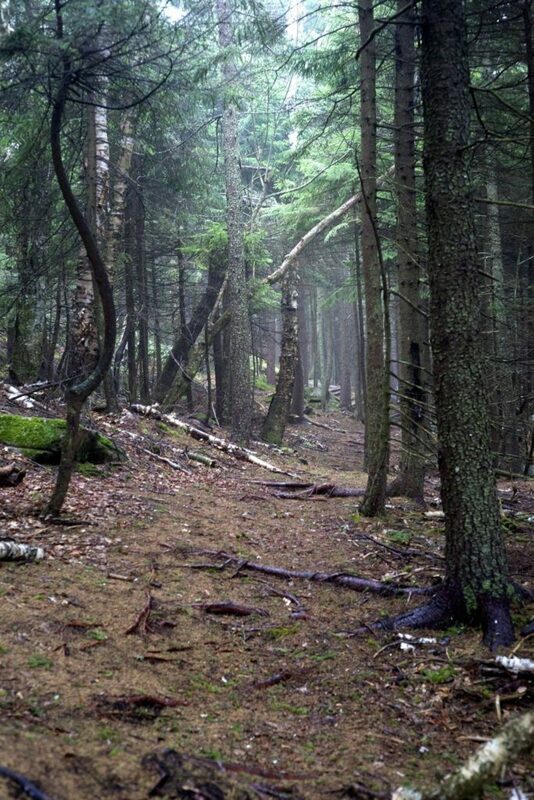 We offer guided Presidential Range traverses, as well as traverses along the Franconia Ridge, on the Mahoosucs, over the Kilkenny, through the Sandwich Range, Squam Range, or across any rocky or wooded spine in the White Mountain (or Lakes) region. 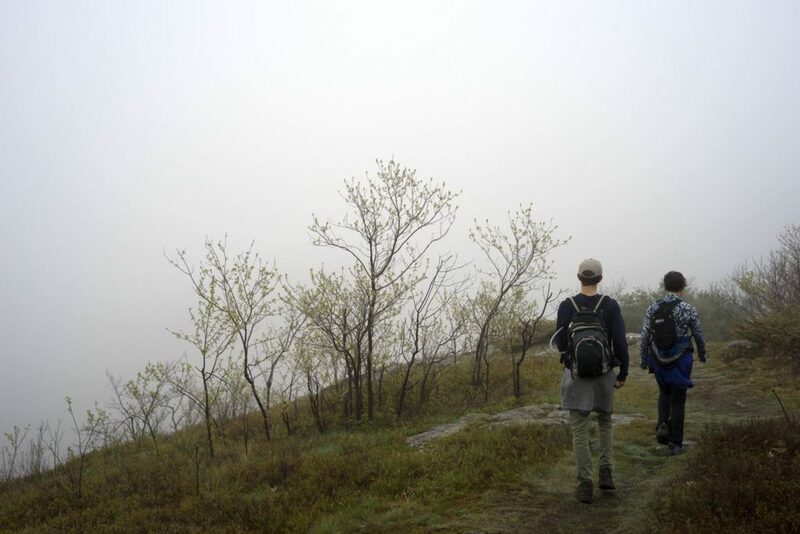 We will even help you do the incredibly tough “Pemi Loop,” help you bag your 48, your 52, your 67, your 72, even guide you to the summits of New England’s Hundred Highest peaks, if that is your goal — that last one is happening as this is being written, actually (read more about that). 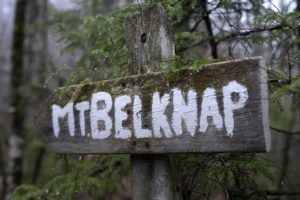 What many didn’t know, and neither did we, to be honest, is that we will also guide you into the Belknap Range, to help you earn that patch, summit those wonderful low mountains, even “redline” (hike all of) those trails if that is your desire. 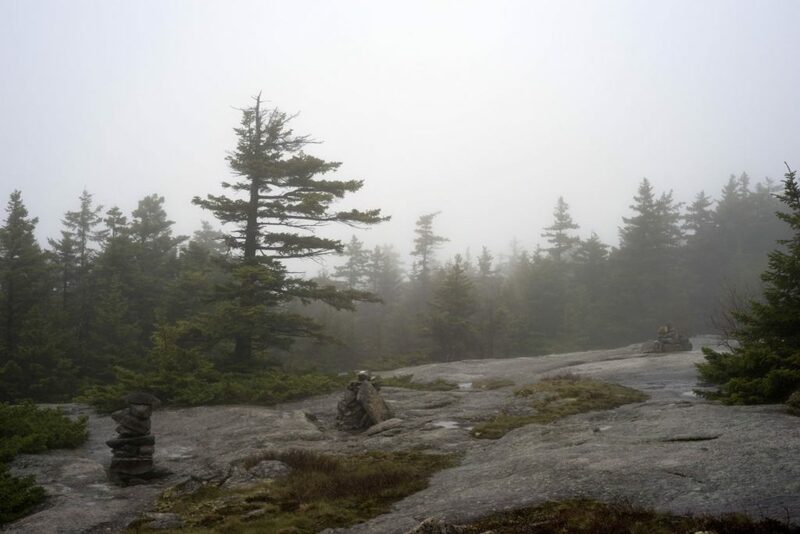 Andrea and Alex starting out on Rowe in the fog, missing the potential views. 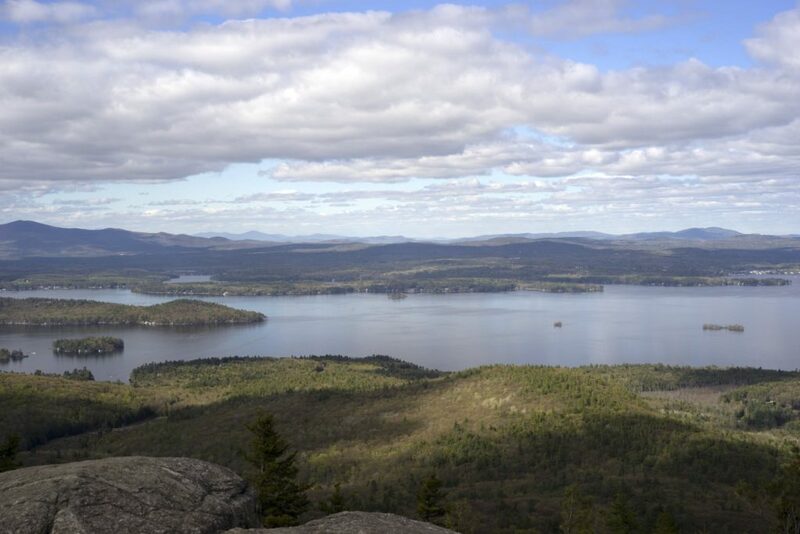 Easy walking between Mts Rowe and Gunstock. Following cairns through the fog. 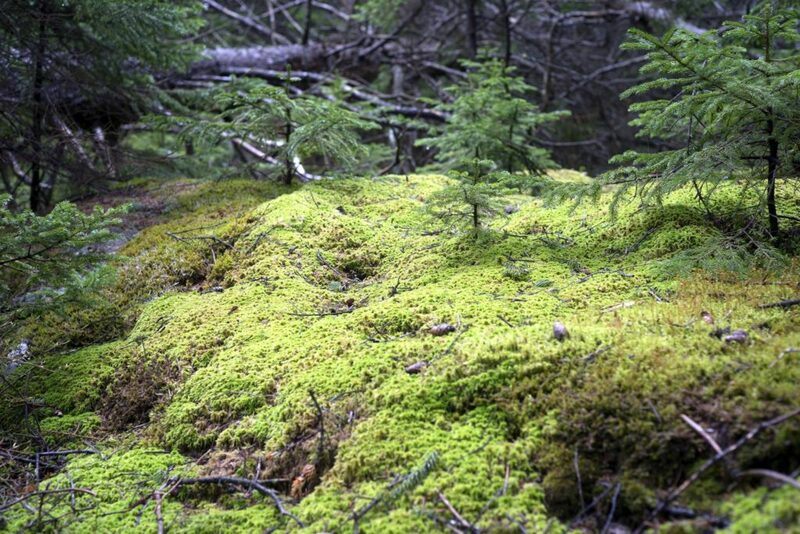 When views are limited, we focus on what we can appreciate, glowing mosses in this case. 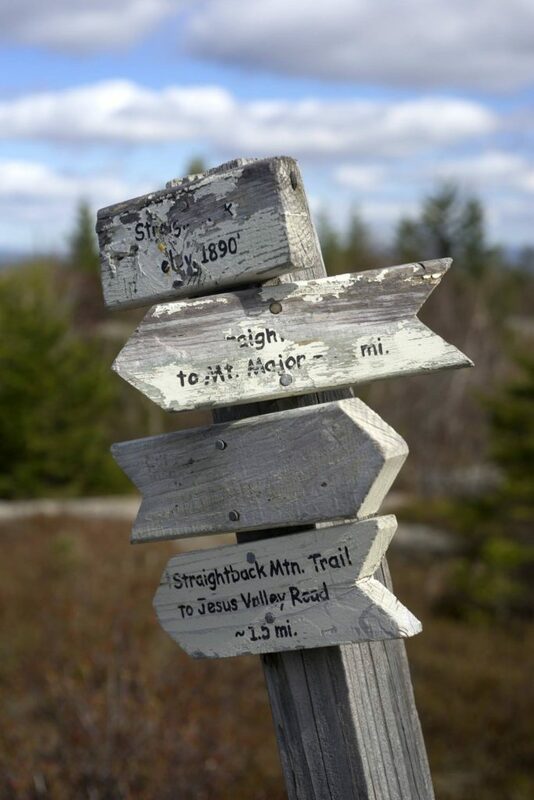 The sign atop Straighback Mountain is representative of the hodge-podge of signage throughout. And then there were views: Ossipees and beyond in this scene. 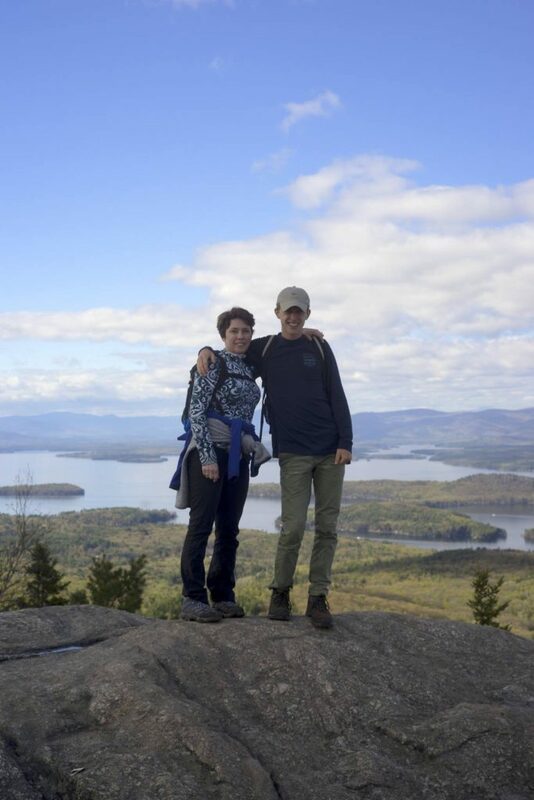 A tired but satisfied mother and son, Andrea and Alex, pose for a photo atop Mt Major. Congratulations to Bill, Andrea, and Alex on a successful traverse!